Do you have a need to Understand Orange County Property Settlement Agreements? In California, a property settlement agreement determines which property is considered separate property, and which property is considered community property in the case that a couple separates. It includes property that either party acquired either prior to, or during the course of, a marriage. Property settlements may also include spousal support. As a community property state, California law dictates that all property acquired during the course of a marriage is to be classified as community property. A prenuptial agreement that was created prior to the date of marriage can override the law. Property that was owned by one spouse prior to the date of marriage, as well as property that was gifted to a spouse or inherited by a spouse during the marriage, is considered separate property under California law. However, a prenuptial agreement can change this, and there are some exceptions. A knowledgeable family law and divorce attorney can help you understand how these laws and their exceptions will apply to your marriage. When Do I Get a Property Settlement Agreement in Southern California? 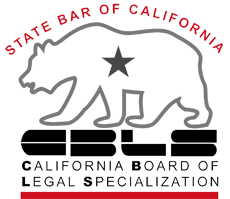 Couples who are married, who have entered into a civil union, or those who have a cohabitation agreement can usually obtain a property settlement in California if they decide to get a divorce or legal separation, or it can be included in a cohabitation agreement. Especially in cases where a couple has been together for a long period of time, issues may arise in determining which property is considered community property, which is considered separate property, and how community property should be divided. Keep in mind that a property settlement agreement in California also divides debts among the parties. Commingling - When separate property and community property are combined (for example, when both parties contribute to a bank account or spend from the same bank account), it can be hard to distinguish between separate and community property. In order to prevent the property being classified as community property, it needs to be included in a premarital or postnuptial agreement, or the spouses need to keep records of all transactions. Transmutation - When a spouse treats separate property as community property, transmutation occurs. When both parties live in a home that was purchased by one party, or perhaps put it in both party’s names rather than one, it is hard to determine whether it is considered community property or separate property. Like with commingling, the best way to keep separate property separate is to keep clear and accurate records. If you’re legally splitting up with your significant other, you’ll need to create a property settlement agreement that follows California law and any other marital agreements that may be in place. 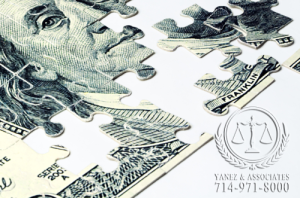 The knowledgeable family law and divorce attorneys at Yanez & Associates are experienced when it comes to correctly classifying property and debts as either community or separate and dividing the community debts and assets according to the law. Contact us today to schedule your initial consultation. 1.1 When Do I Get a Property Settlement Agreement in Southern California?